How to Grow Leeks – Leeks are almost always needed in cooking vegetables. Actually, the price of leeks in the Aceh traditional market, our place is not so expensive, the price is only about $ 0.5, but if you have to spend that price every day, the amount will be huge in a long time. In fact, leeks are vegetables that are easily grown alone in pots or on the edge of a house fence. On this occasion, I invite you to plant your own leeks. Besides being cheaper, you also always get fresh vegetables from your own garden. Leeks are green vegetables that are easy to grow well in the tropics like Indonesia. If you from America, you can plant leeks in the winter. If you like tomato soup or vegetable dishes, maybe leek is a compliment that gives you a fragrant cuisine. The leaves are green and the roots are white, both have different flavors so it is very complete for the taste of your soup. If you are interested in growing your own leeks, we will give you a way to plant leeks in this article. To grow leeks, you can sow the seeds directly on the ground or in small pots to transfer them to larger pots when they grow up. For those of us who live in the tropics, this plant is easy to grow. But if you are in a cold area, you can plant leeks seeds in mid-March until April to harvest in winter. In addition, you can also plant in June for harvest in the spring. So, the planting depends on when you want to harvest. Hoe the surface of the soil thinly and plant leeks there. If using a pot, plant two or three seeds in a small pot, when the leaves have grown 4 strands, move them to another place. Move the leeks if have a height about 20 cm, move to the ground or to a larger pot. To break the ground, you should use a dibber so that the hole is small and deep. After making a hole with a dibber, insert the leeks into a hole and gently squeeze the soil with your hand (you don’t need to fill the other soil into the hole you made with dibber). Use fertile soil to plant your leeks so that the results are optimal. Use quality compost and water. Make a hole about 10-15 cm in deepest. 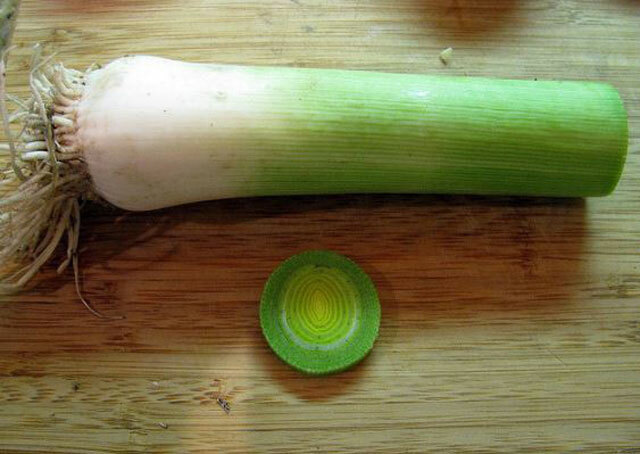 Insert water into the hole and insert the leeks stem. Always pay attention to the soil condition, if it dries immediately flush. In addition, weeds are the enemy of this plant, if there are weeds that grow, immediately pull out so that the nutrients are not seized by weeds. Before planting or putting leeks into a hole that you make with a dibber. Make sure the soil is well conditioned, there is already compost in it, prepare the land well a week before planting. To increase the thickness of the stem, apply fertilizer until mid-season. With enough fertilizer, the leeks will grow bigger. In addition to providing water when inserting the leeks into a hole, after the planter must also pay attention to soil conditions. If there are already indications of dryness, immediately water the stem so that the growth process does not stop. Don’t let leek experience long periods of dryness. Leeks vegetables like areas that are exposed to sunlight. If you grow it in a room, watch the sun, place it in the part of the room that the sun can reach. 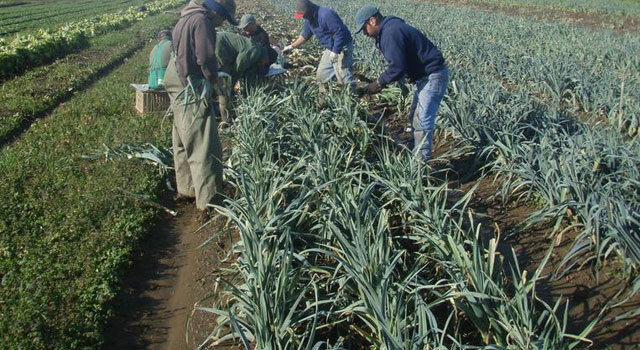 Most leeks are harvested when the planting age is 100 to 120 days. But also have a faster variety, it can be harvested when it is 60 days old. So, harvesting leeks depend on the variety and climate in your place. Harvesting leeks are done when the stalks leeks are about an inch across. Leeks should be used when fresh, if you harvest in large quantities you can sell some of your harvests or store it in a refrigerator. How to store leeks is as you store cucumber in the refrigerator, wrap it in a paper towel and put it in plastic. Storage like this will last for 8-10 days. Small leeks are more durable, so use the bigger one first, don’t cut it if you don’t use it. How to harvest is easy. If the soil is loose, you can pull it straight up until the roots are released. If the soil is hard, you should use a garden fork to lift the leeks from the bottom so that the roots are not broken or injured. After pulling from the ground, clean the soil from the roots. Washing in the flow of water can easily remove the soil from the leeks root.